15 years ago a man witnessed murder of his wife and kid during a robbery. 15 years later his dark past still haunts him. He wants revenge. His search leads him to a gangster who has political connections. Latter was the one behind the murder. This is the plot of upcoming film Badlapur. The film is produced by Maddock Films, directed by Sriram Raghavan who has been known for his earlier films like Ek Hasina Thi, Johnny Gaddar, and Agent Vinod. R&W Review: Trailer begins with explaining the basic plot of the film. All scenes are like close captures and leaves an impact. Each frame of trailer tells a story which enhances audience interest in the film. Varun will be seen in two different looks. First one before 15 years (his actual age) the other one 15 years later (his mature look). At first I couldn’t even recognized him in his mature look. We have seen forty plus actors playing twenty five. It will be awesome to see Varun playing a forty year old in the film. Yes you heard me right, Varun will be playing 40 year old man. In the film that’s why he will be seen with Divya Dutta. Trailer clearly defines his character in the film. He has very intense role unlike his earlier rom-com flicks. His fierce act scares everyone. Like the scene where he is killing someone with an axe. Nawazuddin Siddiqui is such a simple man in his real life and he do all kinds of monstrous roles with perfection. You won’t get to hear a single word from him in the trailer. 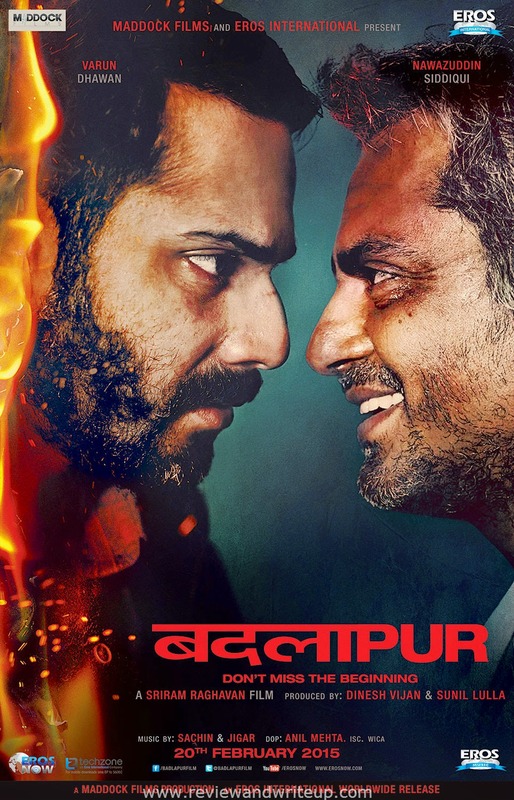 I got little confuse with its title initially as it has similarity to tile of Badlapur Boys. Also first time when I watch the trailer the revenge story reminded me a bit about Aamir Khan’s Ghajini. Then I watched it two to three times more to figure out that no it’s different. Both the girls Huma and Yami are pretty in the trailer. Divya Dutta (my favorite) she always, always justifies her character. Music of the film is by Sachin, Jigar. R&W Recommendation: I enjoy thriller films a lot. I will be watching this film for sure. The film is releasing one week after Roy. It will face tough competition for sure.